You know, it's become such a commonly-repeated piece of trivia among Red Dwarf fans that we honestly didn't realise there wasn't anyone who didn't know that Alan Rickman and Alfred Molina were almost cast in the first series of the show. But judging by the mentions we got on social media ( @RedDwarfHQ) this week, it was indeed news to many when Doug Naylor mentioned it, in a feature on the Guardian website. 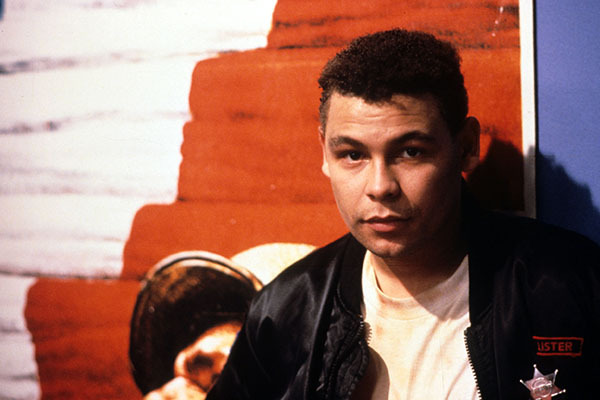 The piece was part of the site's How We Made... series, looking at the genesis of "seminal art works" - and it fell to Doug and Craig Charles to tell Red Dwarf's story. And judging by the reaction across the web, the piece was a big hit. "We had a great fantasy that the original crew would be hugely famous comedy names - like Ronnie Barker, Leonard Rossiter and John Cleese - so that people would be going: 'I must tune into this,'" Doug explains. "Then they all die after 10 minutes and you're left with this bunch of unknowns. 'Craig Charles? Never heard of him.'" "I don't think Alan Rickman and Alfred Molina lost too much sleep over not getting cast," adds Craig. "They went off to fantastic film careers and here I am still peddling this old mining ship in space!" You can read the whole article, as well as a full archive of How We Made pieces, over at the Guardian website. And don't forget you can find out more trivia about the making of the show across all the extras in the Series I-VIII Blu-ray boxset!